Remarkable Marketable Me: Amazing Grand Canyon ~The human spirit needs places where nature has not been rearranged by the hand of man. 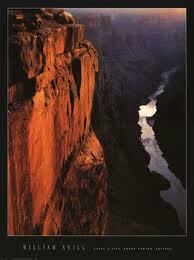 Amazing Grand Canyon ~The human spirit needs places where nature has not been rearranged by the hand of man. We've won huge changes together in recent weeks. Now we really need to win this one too. Ripping up radioactive material around a national landmark will cause irreversible damage to its beauty and wildlife, put nearby communities at risk (especially the Havasupai, a Native American tribe who inhabit the canyon itself) and contaminate the water supply for millions who live nearby. Thousands of us have already signed a petition started by Suzanne Sparling of Arizona calling on the U.S. Bureau of Land Management to extend the ban on uranium mining around the Grand Canyon. We're part of a nationwide outcry that has forced the Interior Department to extend the time window for public comment about the decision. Click on the sign the petition to make a difference! news events, special events, and new or ongoing projects. current with happenings at the park. available for you to download and to read/print at your leisure. available in French German Italian Japanese and Spanish language editions.